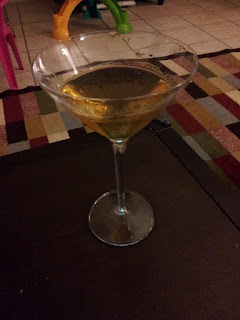 Really easy - 1.5 tsp dry vermouth, 2.5 ounces of Scotch. Stir or shake with ice, and strain into a martini glass. Not the worse Scotch cocktail that I've ever made. I might even try this one again. Enjoy your weekend!